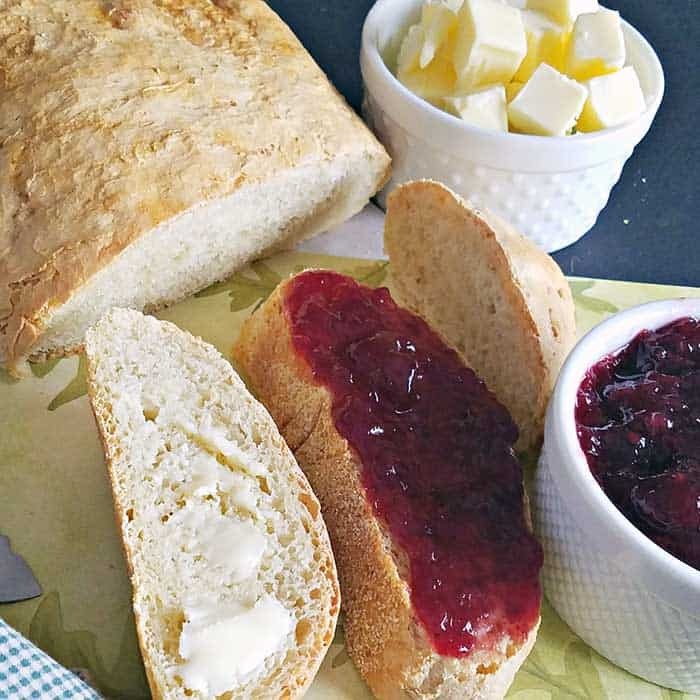 Here is an easy French Bread Recipe you can make today! 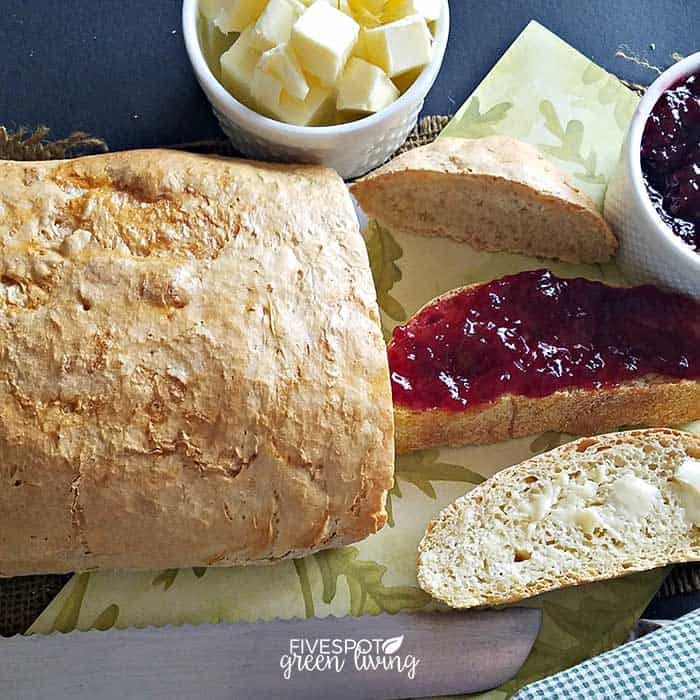 There is nothing better for dinner than this crusty homemade bread with all natural ingredients baked at home! Do you love having fresh bread at dinner but hate spending the price for french bread from the bakery? Plus, who knows what is in the bread anyway, right? 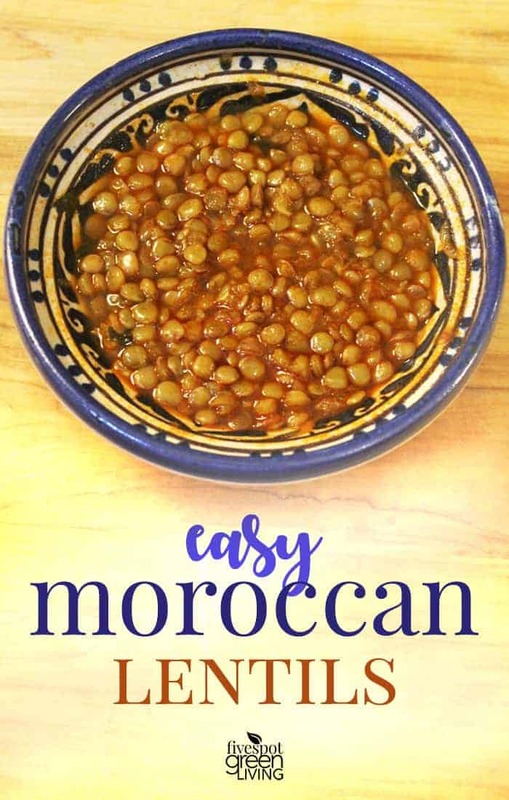 I love having french bread for my Moroccan lentils. There is nothing better, nothing more comforting any day of the year than french bread with dinner. So hearty and filling! In my husband’s family, we always have bread. Homemade bread is a staple in Moroccan culture. They like to eat it for breakfast with oil and honey. Then they have it at lunch and dinner with their meal, using the bread instead of a fork to eat. The bread in Moroccan culture is super healthy. 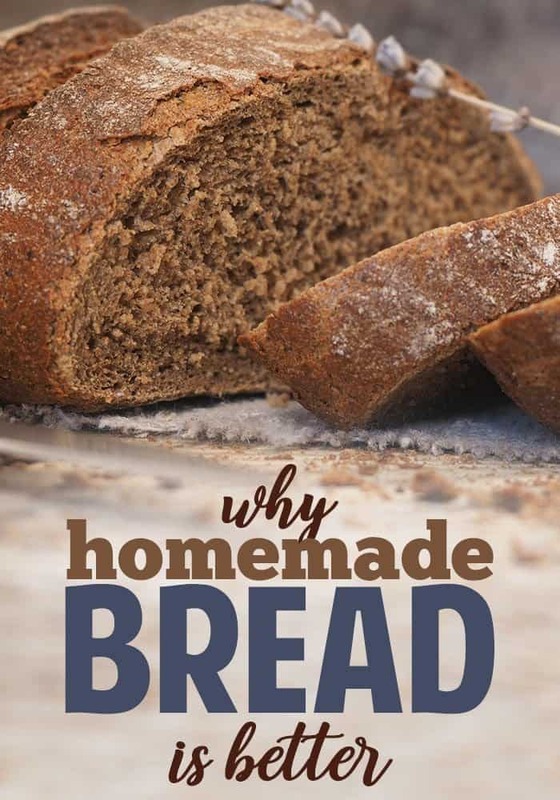 My mother-in-law often makes semolina bread or whole grain and seed bread with wheat flour. But french bread is my husband’s favorite! It’s so yummy as a snack with some cheese on it. 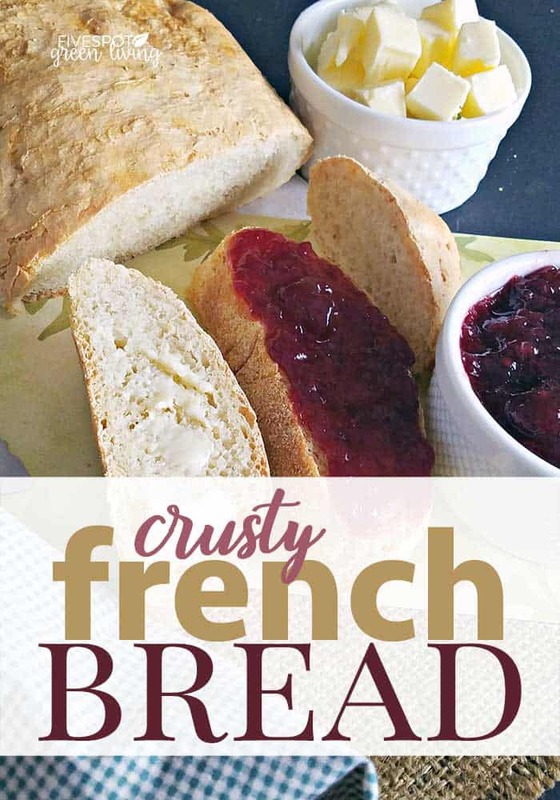 Here is an easy french bread recipe that makes a perfect loaf of that is crispy outside and soft and fluffy inside. Start your french bread by turning the oven to 200º. 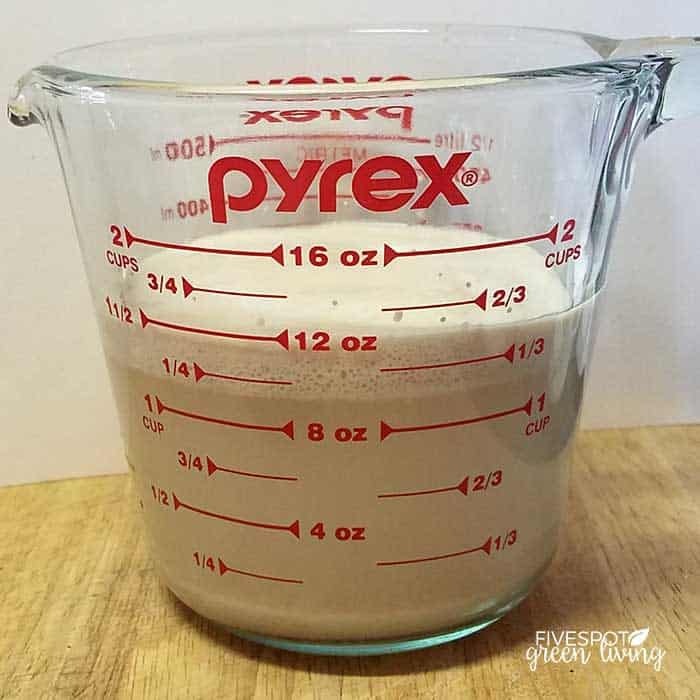 Then get a glass measuring cup (like this) or bowl and add the warm water, sugar, and yeast. Stir gently to combine and set aside until the yeast blooms (or proofs). 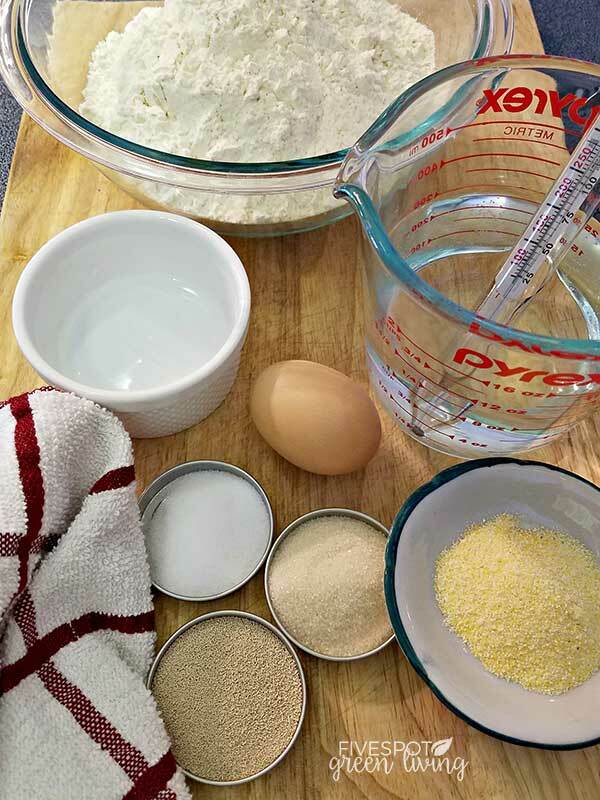 Next, add 2 cups flour and salt to stand mixer with dough hook or large bowl to mix by hand. Slowly add bloomed water and yeast mixture until combined. Add remaining 1 cup flour and mix thoroughly. 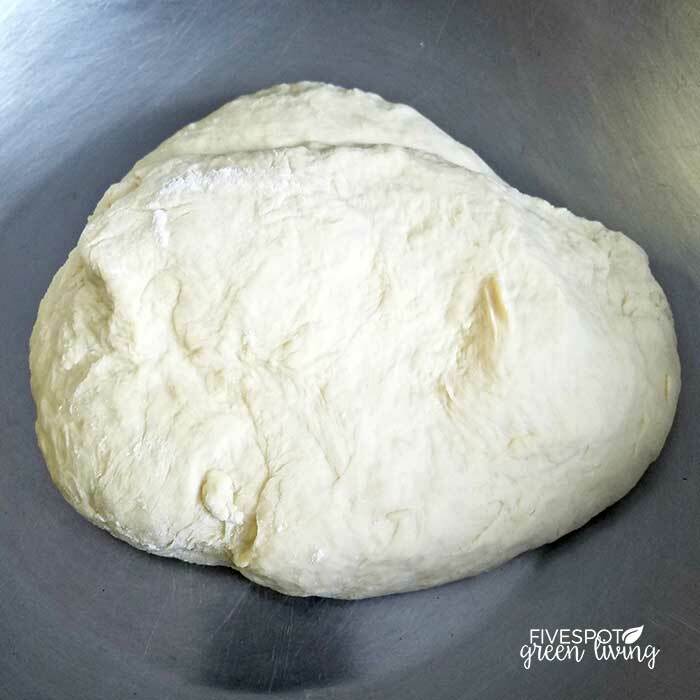 Lightly flour cutting board or counter and knead dough until smooth and elastic, approximately 5 minutes. Turn off oven, keep door closed. Grease an oven proof bowl, add dough and cover with a damp kitchen towel or foil. Tip: I use foil, especially if the bowl is shallow as the dough can stick to the towel. 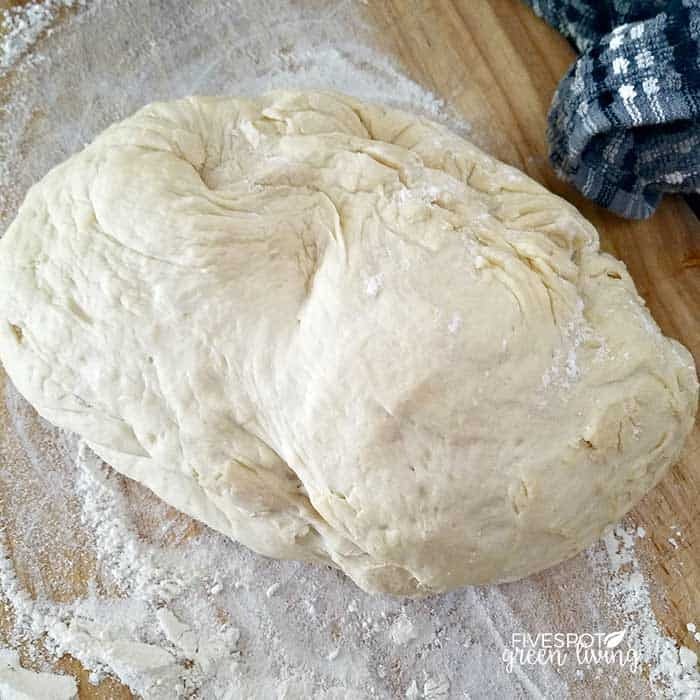 Let the dough rise until doubled, 1 ½ – 2 hours. Knead the dough in the bowl for 1 minute. Cover again for 15 minutes. Remove the dough from the bowl and put it on the floured surface. 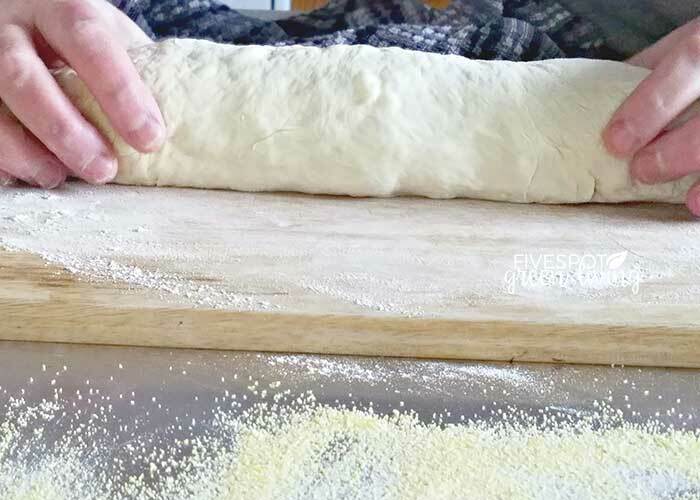 With a rolling pin, roll dough into a rectangular shape, approximately 15″ x 10″. Then, starting at the long side, roll the dough up tightly. 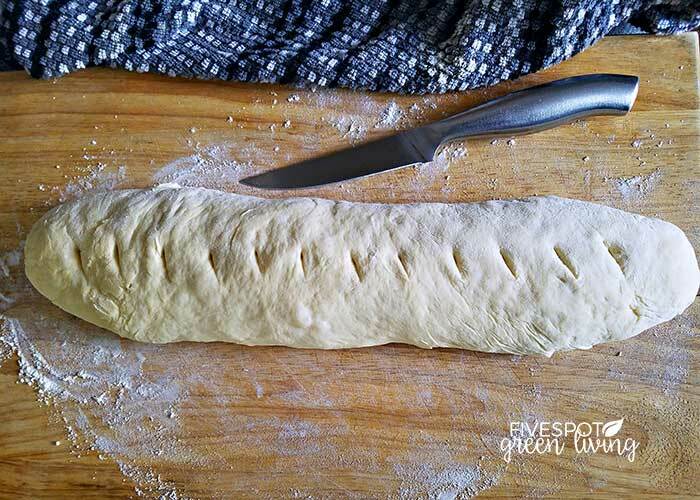 Roll the dough back and forth gently so the ends taper. 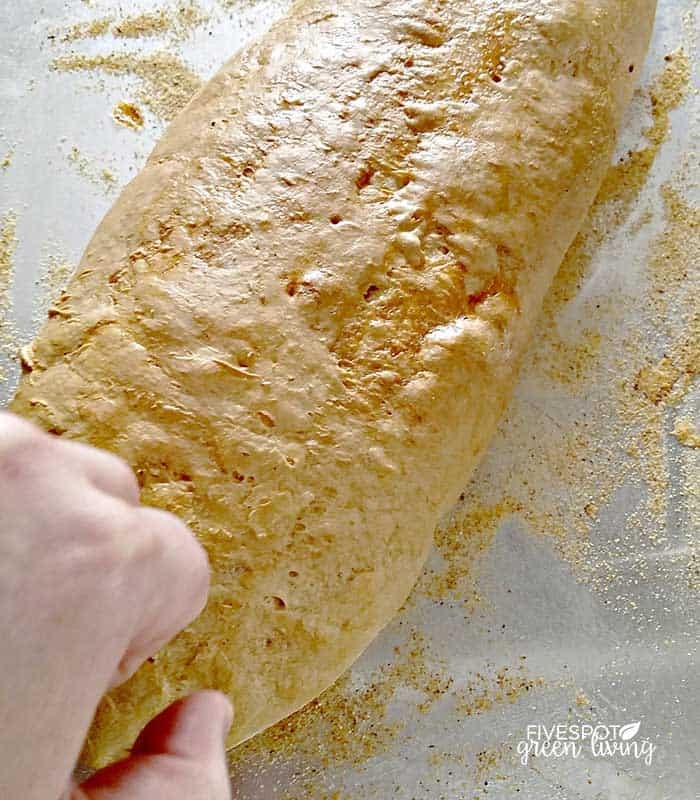 Next, place the dough log on a greased cookie sheet sprinkled with cornmeal. With a sharp knife, create 1/4″ deep small cuts every 2″ and brush top of loaf with cold water. Let rise uncovered 1 ½ hours or until double. Turn oven to 350º. Brush loaf with additional cold water and bake for 20 minutes. Then brush loaf with mixture of 2 tbsp water and egg white and bake 25 minutes more or until bread is golden brown. *Bread is done when you can knock on it and hear a hollow sound. gently to combine and set aside until the yeast blooms (or proofs). Slowly add bloomed water and yeast mixture until combined. Add remaining 1 cup flour and mix thoroughly. Let rise until doubled, 1 ½ – 2 hours. Knead dough 1 minute. Cover 15 minutes. 10” and then starting at one long end, roll tightly. Roll back and forth gently as the ends taper. Place on greased cookie sheet sprinkled with cornmeal. With a sharp knife, create ¼” deep small cuts every 2”. Brush top of loaf with cold water. Brush loaf with additional cold water and bake for 20 minutes. and hear a hollow sound.